Центр Бохума — очень оживленное место со множеством частных магазинчиков и лавок. Кроме того, город порадует вас идеальным сочетанием оригинальных ресторанов, уютных пивных и популярных клубов. В двух крытых торговых центрах в центре города Citypoint и Drehscheibe вы найдете филиалы известных фирм. Такие мероприятия, как Музыкальное лето Бохума (Musiksommer), Bochum Total и SparkassenGiro каждый год привлекают множество посетителей. Вечерний шопинг в Бохуме начинайте с Bermuda3Eck. Район с 80 магазинами и кафе ежегодно привлекает 3 миллиона посетителей. 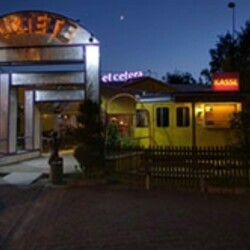 For seven years the et cetera was Germany's only touring variety theatre, but it finally set up permanent camp in Bochum in the heart of the Ruhr region in 1999. Here you can treat yourself to fine food and drink in the theatre's spacious foyer with bar, in the café garden or in the auditorium itself, whilst expert performances by acrobats, jugglers, dancers, singers, magicians and compères transport you to the magical world of variety. Both the theatre's programme and the entire cast of performers change four times every year. Word has got around that Bochum's 'Bermuda triangle' of bars and clubs is the party capital of the Ruhr at any time of year. But when the city at the heart of North Rhine-Westphalia plays host to Bochum Total, one of Europe's leading music festivals, the party atmosphere reaches fever pitch. 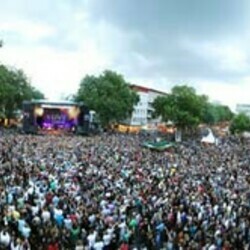 Bochum Total has taken place every summer since 1986, turning the city into one gigantic festival site. Around one million music fans come to this superlative open-air event to watch up to 60 pop and rock bands – from newcomers to big-name acts – perform on four days across three different stages, with a fourth devoted entirely to shows, comedy and readings. And all for free! The spectrum of music ranges from mainstream to experimental, covering every genre from grunge and metal to salsa, reggae and jazz. The inclusion of newcomers in the line-up is a deliberate move by the organisers, who have always had an eye for spotting talented acts that go on to headline the festival a few years later: Wir sind Helden, Silbermond, Seeed and many others played in front of their first big audiences here. The event kicks off at 5pm each day and after the last encore five hours later, the party really gets started. There is an extended programme of around 100 different events in the dozens of bars and clubs. With so much going on, it's easy for people to disappear off the radar for a while – but the good news is, they always turn up again!